The LimeSDR Mini has now started shipping out to backers, and we received our unit just last week. The LimeSDR Mini is the smaller version of the full sized LimeSDR which was released early last year in 2017. 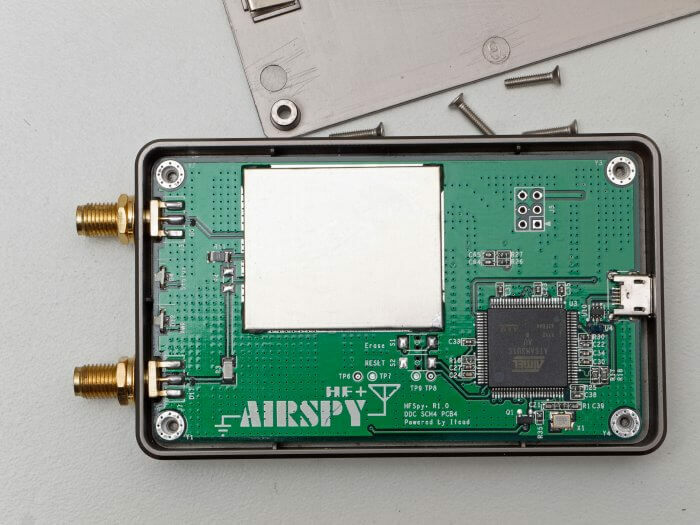 The standard LimeSDR has a frequency range of 100 kHz – 3.8 GHz, bandwidth of up to 61.44 MHz, 12-bit ADC and 2 x 2 RX/TX channels. In comparison the new LimeSDR mini has a slightly restricted frequency range of 10 MHz – 3.5 GHz, and half the maximum bandwidth at 30.72 MHz. The mini also only has 1 x 1 TX/RX channels. The price is however much less coming in at US$139 for the mini and US$299 for the standard LimeSDR. In this post we’ll give a brief unboxing and review of the LimeSDR Mini. If you’re interested take a look at our previous unboxing and initial review of the standard LimeSDR as well. The LimeSDR Mini came in a small black box inside an anti-static bag. No accessories like antennas are included in the package. The PCB comes without any enclosure, but an enclosure can be ordered as an additional extra. The size of the PCB is similar to an RTL-SDR, but a little wider. The RF sensitive components are covered with a shielding can. Removing the can reveals the main Lime System RF chip, the LMS7002M, as well as several RF transformer matching circuits. One end of the PCB has a standard USB-A connector, whilst the other end has two SMA ports, one for receiving and the other for transmitting. Like the HF+ mentioned in the previous post, the RSP1A SDR was also recently released and has now had enough time in the wild to gather up a few online reviews. 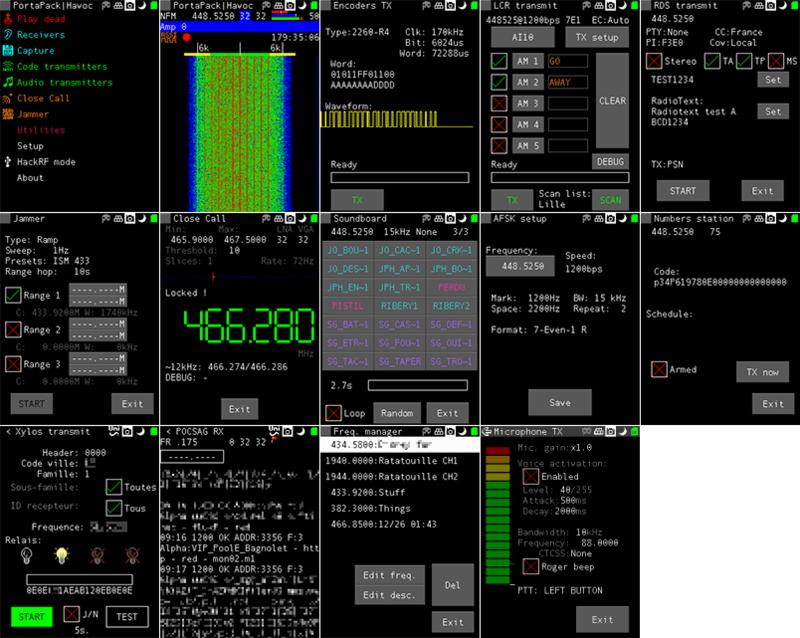 If you didn't already know, the $99 US SDRplay RSP1A is a revision of the RSP1. Compared to the RSP1 it significantly improves the filtering and front end design. We have our own review of the RSP1A unit here, and we mentioned some early reviews from other bloggers in this linked post. Below we post some of the new reviews that we are aware of which have come out since our last post. In his video Robery Nagy does a full review of the RSP1A including a 15 minute primer on SDRs. This is great if you want a brief introduction to understanding how SDRs actually work, and what performance measures are important for comparing them. In the second half of the video Robert shows how to use SDRuno and shows the RSP1A in action. CQ World Wide DX Contest (CW) receiving in Macedonia with SDRplay RSP1A SDR-receiver and SDRuno software on 80m-Band with full-size half-wave (40 meters long) resonant dipole antenna. In The Radio Hobbyist's video on YouTube Rick (VE3CNU) unboxes his RSP1A and shows the setup and download of SDRuno. He then goes are demonstrates reception on various signals. In icholakov's video on YouTube he compares the older RSP1 with the newer RSP1A on medium wave and shortwave reception using a dipole in a noisy suburban RF setting. 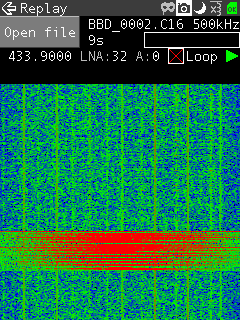 Differences are hard to detect as the signals he tests with are not likely to cause any overloading issues, but the RSP1A does seem to have a slightly less noise.